Aluminum Hammer Handle Style Sword Cane. 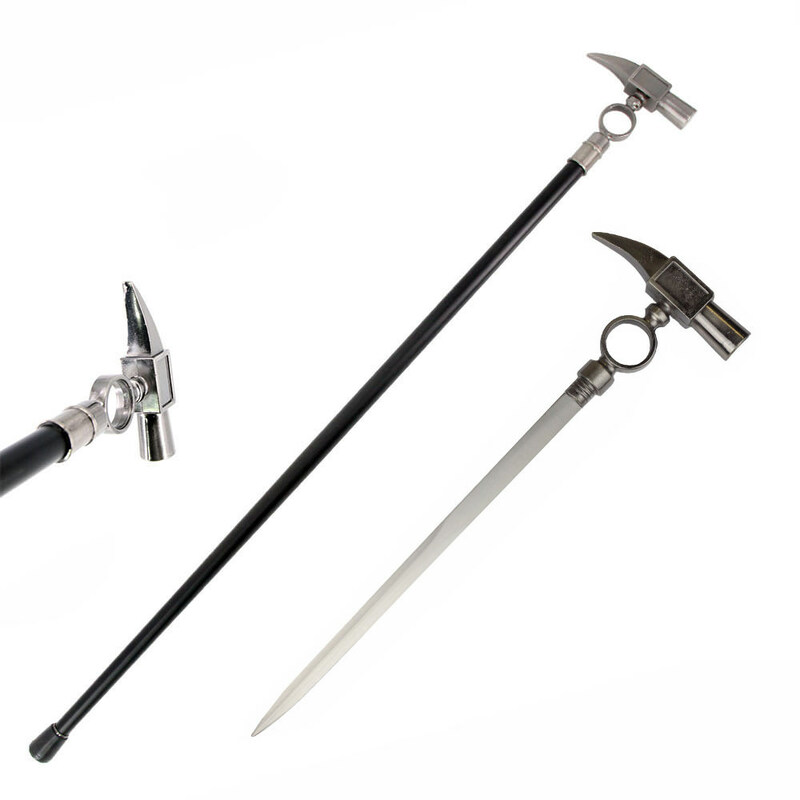 Sword blade easily hidden within walking cane. 34.5 Inches Overall length.